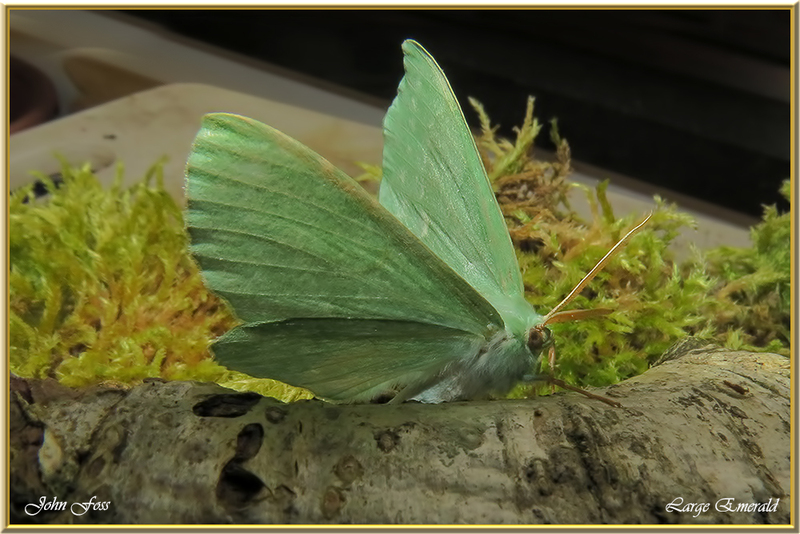 Large Emerald - A large very attractive moth, the largest of the emeralds with a wingspan of 40-50 mm. 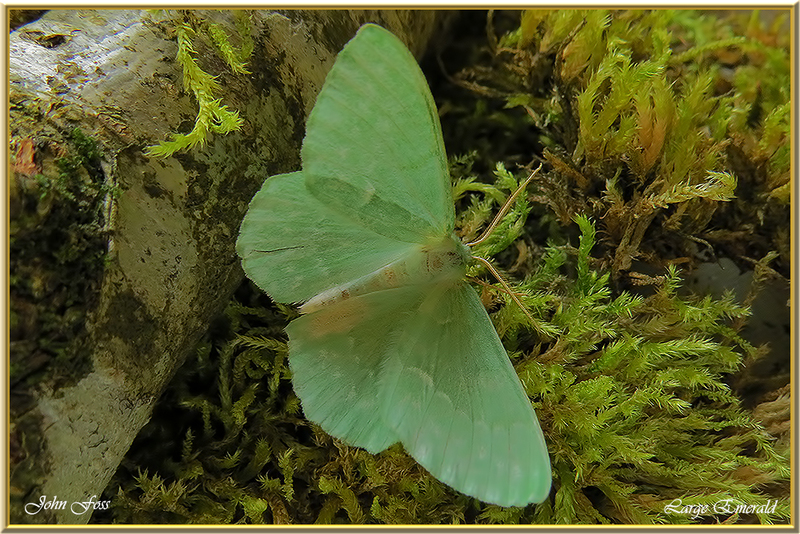 It is common in Ireland and the UK flying in June to August and is attracted to light. 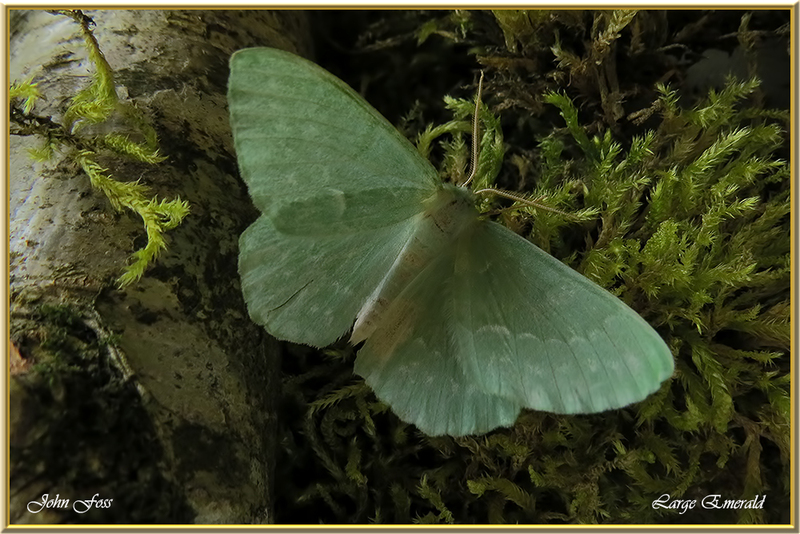 Specimens here were photographed in Co. Leitrim flying in mid July.